Back in April, I had the extreme pleasure of meeting Enrique Macotela and Raiza Larios at the studio of Aldo Chaparro. 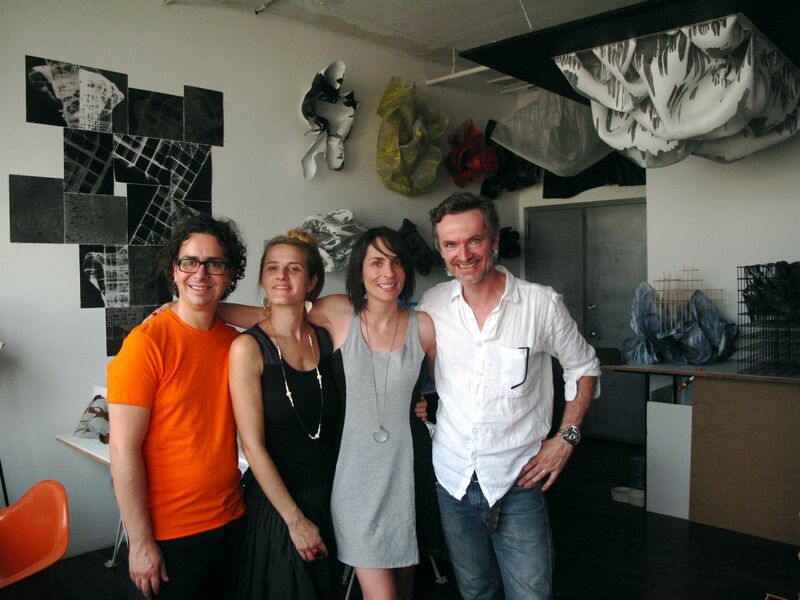 They recently visited New York and I had the chance to show them my studio. I showed them all the projects I am working on including MOCA Tucson, a site-specific installation in Beijing, and my newest cube, which they both loved. It was a great visit! I am looking forward to our next visit in November when Florencia and I travel to Mexico City for their wedding!